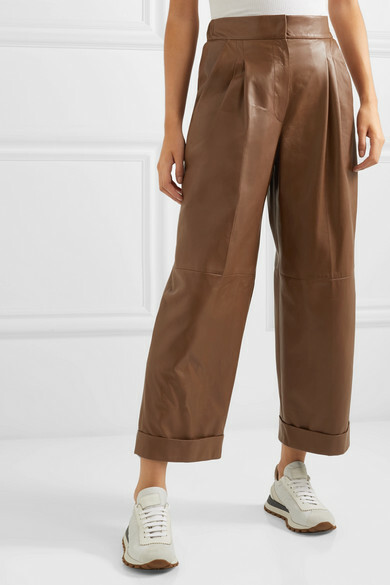 Dubbed 'Rustic Charm', Brunello Cucinelli's Spring '19 collection nods to the designer's Italian heritage - the earthy hues are inspired by Umbria's countryside. 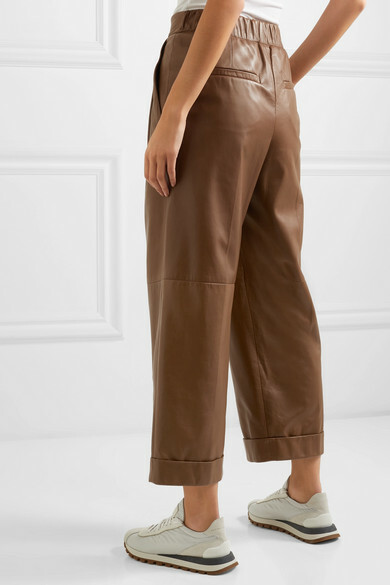 Part of the lineup, these leather pants have a wide-leg silhouette that's highlighted with front pleats and turned-up cuffs. 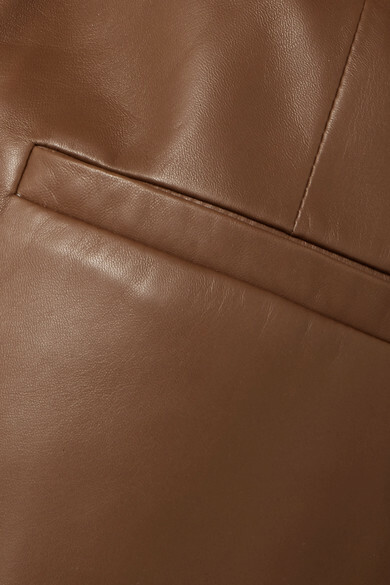 Tuck a cozy sweater into the partially elasticated waistband. 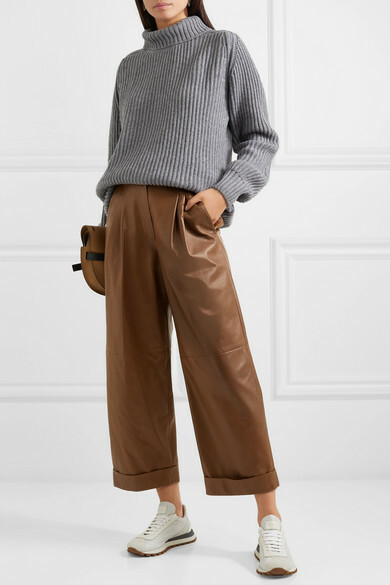 Shown here with: Hillier Bartley Sweater, Loewe Shoulder bag, Brunello Cucinelli Sneakers, Leigh Miller Earrings.